“American Yellow,” a memoir by Bay Area Nisei writer George Omi, has been published by First Edition Design Publishing Inc.
Omi, who lives in Mill Valley, Marin County, has won awards for his writing, which he only took up after retiring from a successful career as a landscape architect. He loves golfing, traveling, and tending to his formidable collection of handmade bonsai. In spite of all his hobbies and interests, he is happiest when he is with his family, which includes his wife of 60 years, four grown children and their spouses, and seven grandchildren. As a child of Japanese immigrants, Minoru Omi enjoys life in 1930s San Francisco. Like other kids his age, his little sister gets annoying at times, but his family is comfortable and content. His eccentric father and stoic mother run a dry cleaning business together, and they often enjoy visits from friends and family. But the day that Japan bombs Pearl Harbor, Minoru’s life is turned upside down. His father sells their cleaners, and they move inland to Stockton to avoid a government-mandated evacuation –— only to be forcefully assembled with thousands of other Japanese Americans at the Stockton Fairgrounds. They are then relocated to swampy, far-off Rohwer, Ark. Still, though, their family resolve persists and even while facing tough times, Minoru manages to get into trouble with snakes, bullies, and out-of-bounds candy shops. Just like any other young boy, interned or not, he finds a way to thrive. As victory for the Allies becomes imminent, Minoru and his family are allowed to leave camp, and begin the long journey across the country to their former home in San Francisco — to slowly but surely rebuild the livelihood that was taken from them. Book Passage, 51 Tamal Vista Blvd. in Corte Madera, Marin County, will be hosting an author’s event for George Omi on Saturday, Sept. 17, at 4 p.m. For more information, call (415) 927-0960 or visit www.bookpassage.com. 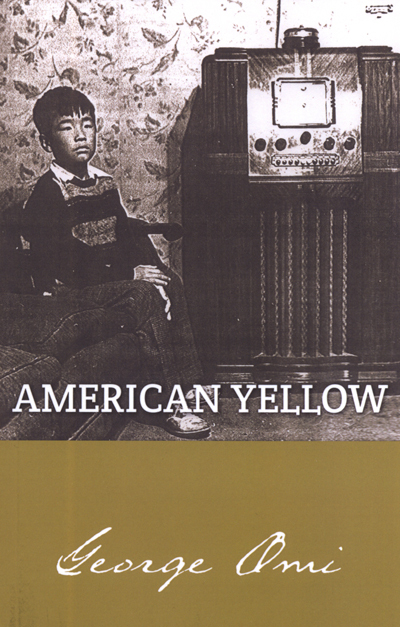 “American Yellow” is 140 pages and is available for $14.99 (paperback) and $5.99 (Kindle) through Amazon, Barnes & Noble, and other booksellers.